The Los Angeles Urban Rural Roundtable developed a comprehensive set of recommendations so former Mayor Antonio Villaraigosa could support the development of a “foodshed” concept for LA. The time frame of the project was January through April 2010. 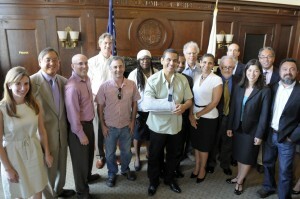 Building on the success of the San Francisco Urban‐Rural Roundtable commissioned by Mayor Gavin Newsom in 2008, Roots of Change formed the Los Angeles Urban-Rural Roundtable to support the urban-centered Los Angeles Food Policy Task Force as it developed policy recommendations for Mayor Antonio Villaraigosa. ROC’s work allowed broader perspectives and insights to inform the recommendations. More than 60 people from as far as Monterey, San Luis Obispo and Kern Counties to the north, San Diego County to the south, and Riverside and San Bernardino Counties to the east participated. A gathering of business leaders, nonprofit and community leaders, and government officials represented every aspect of the food system and a vast geographic region. They included farmers, ranchers, food distributors, food retailers and entrepreneurs; chefs and food journalists; institutional food buyers and school food advocates; hunger and social justice activists; public health leaders; architects and planners; environmentalists; and senior representatives of the US Department of Agriculture (USDA) and the California Department of Food and Agriculture (CDFA), including California’s Secretary of Food and Agriculture, AG Kawamura. Help community leaders develop plans and implementation strategies to create the systemic changes necessary to expand access and meet the good food needs of urban and rural residents, particularly moderate and lower income consumers and communities of color. Expand opportunities for regional agricultural producers, processors, distributors and retailers to profitably develop and access local markets for their products in ways that create jobs and increase the triple bottom line for themselves, their workers, and their communities. Ensure that urban and rural leaders together steward agricultural and natural resources so that our region can continue to supply food and provide vital ecological services for generations to come. Build a regional foodshed identity and maintain diverse landscapes and communities to add value to the food grown in the region. Each of the goals sparked intensive discussion. A number of clear priorities emerged as well as several cross‐cutting themes. The output from these meetings became four overarching recommendations, each with specific action items, as described in the final report. 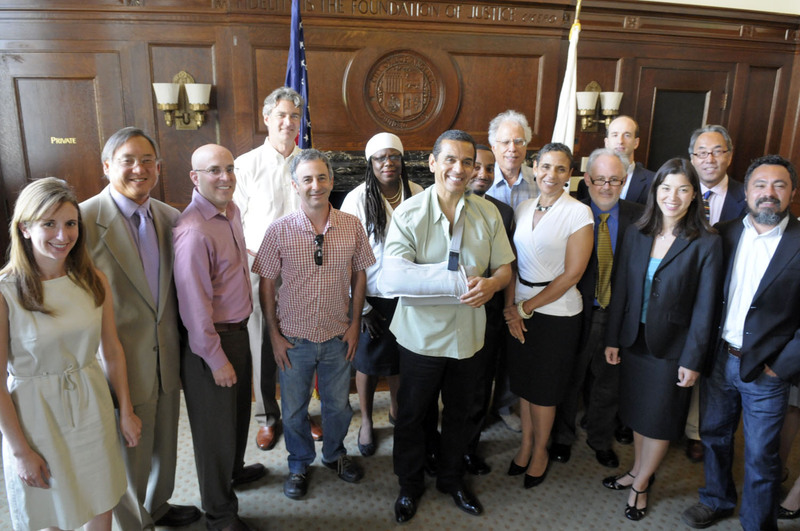 The LA Food Policy Task Force included many of the roundtable recommendations into the’s Good Food For All Agenda presented to Mayor Villaraigosa in August 2010. Error: Error validating access token: Session has expired on Tuesday, 26-Mar-19 12:54:16 PDT. The current time is Sunday, 21-Apr-19 08:03:02 PDT.